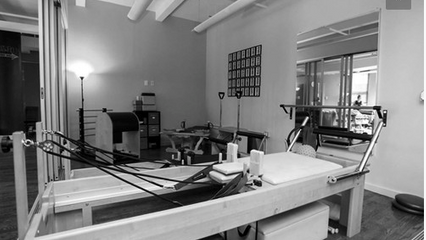 We are a full-service Physical Therapy practice in Manhattan devoted to getting our patients better. We believe that an understanding of the human body and movement provides the basis in assessing and treating our patients. Specialty services include Pediatric Physical Therapy, and Women's Health. Dr. Alejandra Martinez is a highly versatile and well-rounded healthcare practitioner in New York City. She has spent well over a decade integrating her skills, knowledge, and experiences into practice for providing direct physical therapy and personalized wellness services for her patients. Alejandra has considerable expertise and experience in massage therapy, nutritional assessment and planning, physical conditioning, and holistic wellness. She began her education in rehabilitative medicine and preventative care by earning a massage therapy certification with an emphasis in “Medical Massage” in 2003. Thereafter, Alejandra completed her B.S. in Nutrition from Hunter College and received her Doctorate in Physical Therapy from New York University. Additionally, she is a Certified Strength and Conditioning Specialist and a Certified Polestar Pilates/Pilates Method Alliance Practitioner focusing on Pilates-based rehab and exercise prescription. Philosophically, Alejandra believes that all healthcare services should be attended to by qualified, caring professionals, and that the road to improved wellness is a collaboration between her and the individuals she serves. Vinita has over 15 years experience working in Physical Therapy, although her passion for manipulating the body began as early as eight years old. She came up with the idea to open her own practice when she developed a following of loyal patients who attested to the benefits of her unique therapeutic style. Vinita earned a Bachelor of Science in Kinesiology at Canada’s McMaster University and a Master of Science in Physical Therapy at Canada’s Queen’s University. Her “eye” for catching faulty movement patterns has enabled her to address patient’s pain complaints in a scientific and effective way. Vinita is a generalist in physical therapy who addresses complex cases using her strong background in anatomy, physiology, and biomechanics.. With full body and nerve entrapment certifications in Active Release Technique™, Polestar Pilates and Pelvic Floor Certifications, she combines her extensive experience using her hands and her passion for science and education to provide comprehensive services. Vinita is also the founder of ICT by Stroma™ which is a vascular, neural and myofascial technique that was created from her love of healing patients. Dr. Alyssa Hariprashad is a dedicated healthcare practitioner who believes in the promotion of preventative care in rehabilitative medicine. She applies an evidence-based and holistic approach to wellness, with a focus on interventions that meet the changing needs of her patients and help prevent future injuries. Alyssa has worked with many complex patient care conditions in both orthopedic injuries and neurological conditions and finds solutions to challenging ailments. She enjoys treating different kinds of populations, particularly post-surgical rehabilitation. Her effective communication with medical practitioners ensures that her patients’ post-operative care is tailored to each individual and sets her apart from others. She believes in an individualized approach to care, and strongly promotes patient education to enhance awareness and prevention of injuries. She offers a continuation of the Stroma Philosophy using a minds-on, hands-on approach. She is always smiling and laughing adding to the warmth of the Stroma way! Alyssa is a certified personal trainer, has pelvic floor certifications, and is studying to become a certified strength and conditioning specialist (CSCS). Alyssa began her career by earning a Bachelor of Science in Exercise Science from the University at Buffalo and a Doctorate of Physical Therapy from New York Institute of Technology.